01 catches the rebound and passes to 02, running the side line. 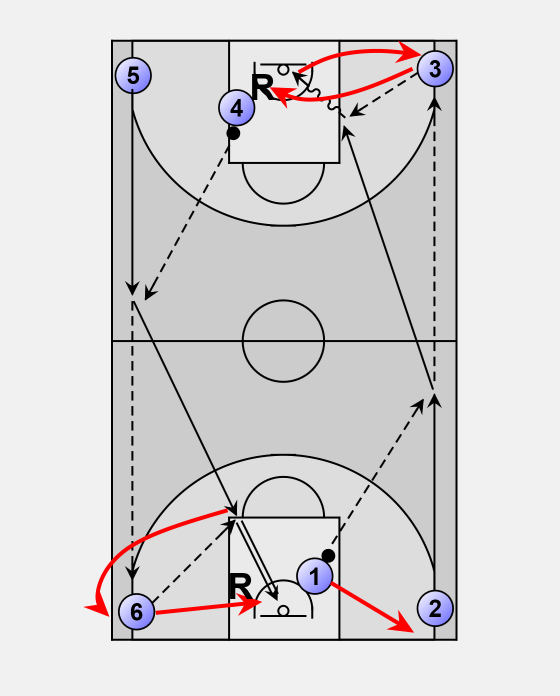 02 passes to 03 in the corner and cuts to the basket. Receives the pass back from 03 and goes to the basket for lay-up. 02 runs to the corner. On the other side 04, 5 and 6 do the same and at the same time.